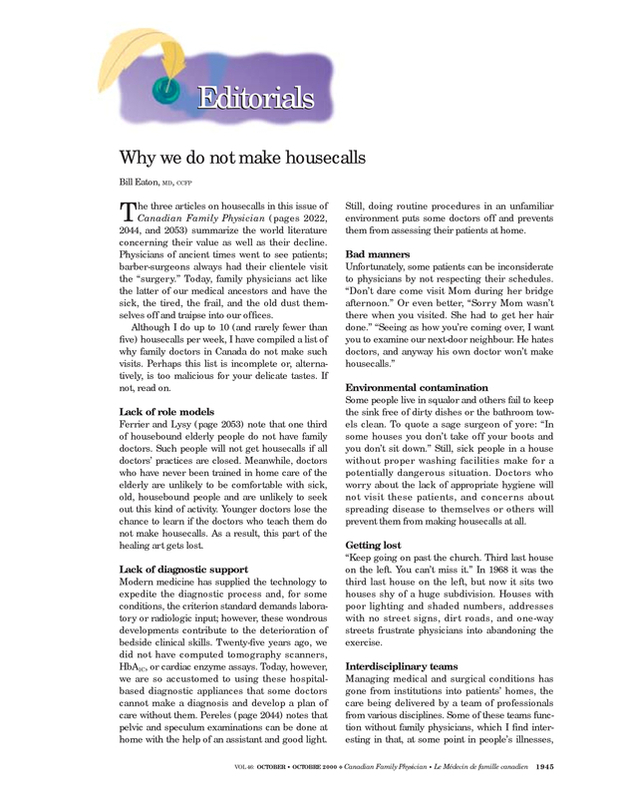 Why we do not make housecalls. You are going to email the following Why we do not make housecalls. What do Victoria family physicians think about housecalls?